Ron & Hermione. . HD Wallpaper and background images in the romione club tagged: ron weasley hermione granger deathly hallows part 2. 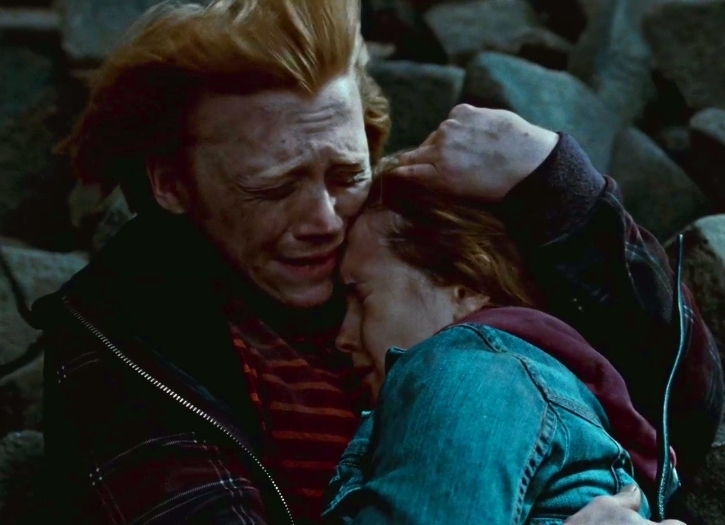 This romione photo might contain rua, cena da cidade, ajuste urbano, cenário urbano, cena de rua, cidade, and urbana definindo. Awww, he's trying to protect her! i love it, too !!! aww this is sooo great <333 anyone have any ideas on what this scene could be?